Dr. Pouya Shafipour always appreciates feedback from his valued patients. To date, we’re thrilled to have collected 69 reviews with an average rating of 4.97 out of 5 stars. Please read what others are saying about Dr. Pouya Shafipour below, and as always, we would love to collect your feedback. Dr. Pouya Shafipour helped me feel comfortable and encouraged with the diet program he recommended. He took his time and listened to me, I felt like he really cared about my success. He has what has been missing in the contemporary doctors I've met; "a wonderful bedside manner". Highly Professional, high end atmosphere, friendly and very helpful staff. definitely would come back even tho its a 45 minute drive. Dr. Shafipour is thoughtful and professional. He listens, but also gives you professional medical advice. He as great bedside manners and I liked how he recommended vitamins over prescription medication. Its working! I'm happier and less stressed. Thank you Dr. Shafipour! I was seen by the doctor on time, given time to ask questions and review my concerns without feeling rushed. Any other issues that are brought up are met with genuine concern. Being new to the area and not knowing any Doctors, I was referred to Dr. Shafipour by a friend. I looked him up on the internet and read the reviews. I called his office and made an appointment. I was able to get in right away. The staff were very nice and professional. DR Shafipour was great, very through and took time to address my many aliments. He also was very kind in giving me the names and phone numbers of specialist I'll will need to address other issues. I would absolutely recommend Dr Shafipour to anyone needing excellent care. I would happily recommend Dr. Shafipour to anyone struggling with their weight. He and and his staff are both very knowledgeable and friendly. Dr. Shafipour does a wonderful job of listening and problem solving. I always leave feeling very confident and well informed! The office is friendly and super efficient. 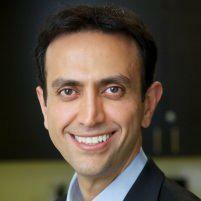 Dr Shafipour is knowledgeable, and professional but also extremely personable and encouraging.